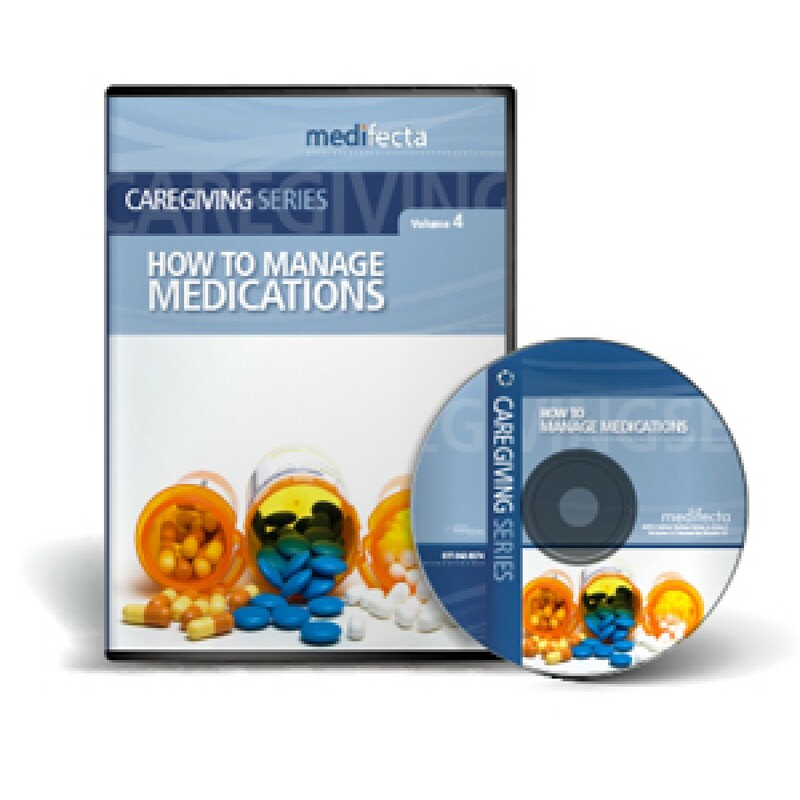 Learn about medication management. Older adults take an average of eight medications a day. 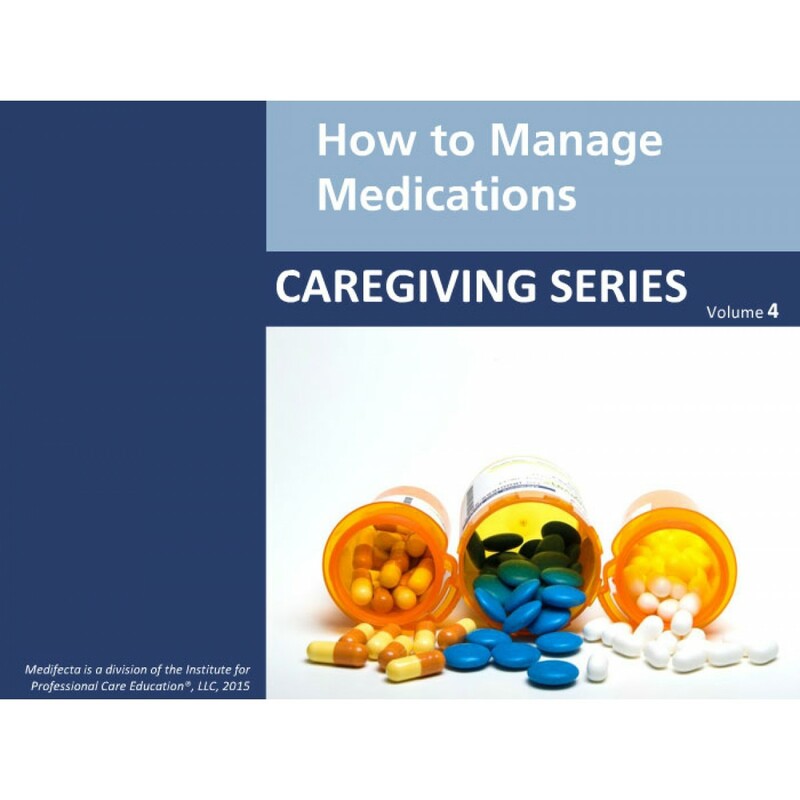 Because of the number of drugs they take daily, the elderly are at greater risk for medication errors and problems. This program teaches safe practices for administering and storing various types of medications. Warning signs of improper use are also provided. 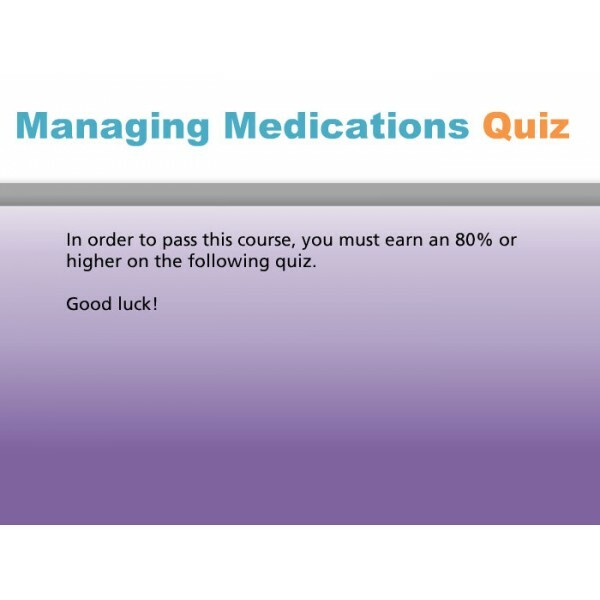 Upon completion of this training, the participant will: learn the warning signs of improper medication use; have an understanding of how aging changes the way the body responds to medications; be knowledgeable about safe practices for assisting or administering medications; understand proper medication storage.